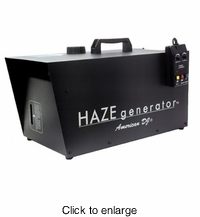 AMERICAN DJ HAZE GENERATOR Heaterless hazer machine. Enhances special effects light beams. HomeLIGHTING - CLUB - DJ - PRO > AMERICAN DJ LIGHTING > ATMOSPHERIC > AMERICAN DJ HAZE GENERATOR Heaterless hazer machine. Enhances special effects light beams. Add a really unique misty atmosphere to your next event with the addition of a Haze Generator Fog Mist machine from American DJ to your live entertainment system. When coupled with LEDs and laser lights, fog effects add to their visibility making your dance floor all the more dynamic and exciting with dream-like atmosphere. You can expect great results from an ADJ fog machine like the Haze Generator, especially when used with an American DJ brand Fog Juice. This fog machine is professionally made to create the perfect misty ambiance. You can be sure that you are getting the most for your money with this highly affordable and highly effective ADJ unit. 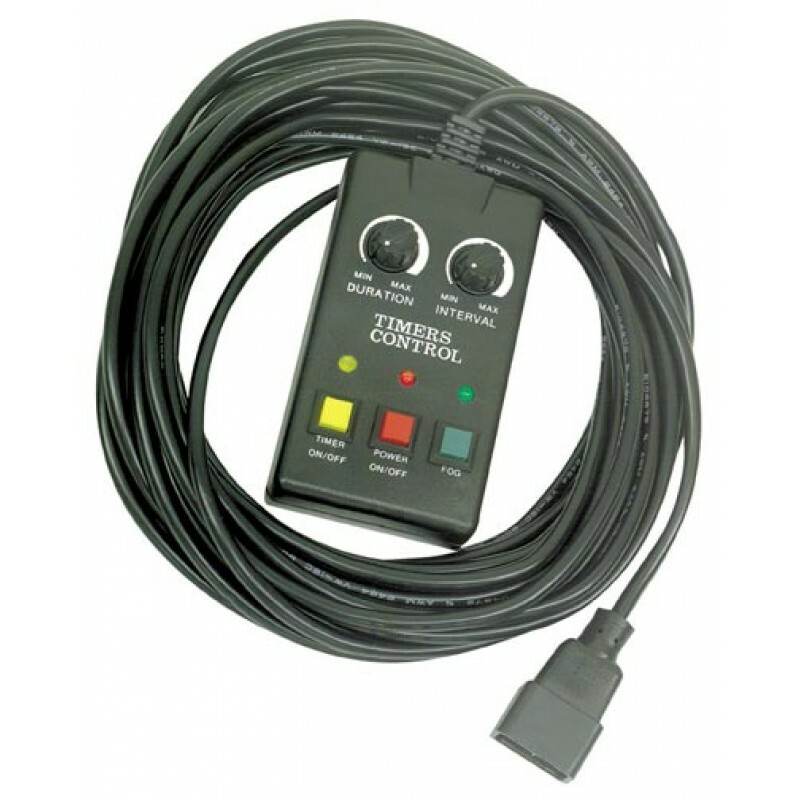 You'll have no trouble integrating this easy-to-use fog machine into your current set-up thanks to the inclusion of a 30 ft. cable remote with timer, duration and interval control, allowing you to fully manage it from a distance. While this machine may make your events hazy, your choice is clear, get the ADJ Haze Generator Fog Mist Machine today and bring your light show to a whole new level of awesome.